Born and brought up across India, Ravi has been interested in science and Technology since a very young age. His interest in technology led him to an undergraduate degree in Mechatronics from Manipal Institute of Technology, India. During his undergraduate studies he ventured into the field of Nanotechnology, where he found his calling. In pursuit of that, Ravi joined the Masters in Nanotechnology program in the School of Engineering and Applied Sciences, here at Penn. 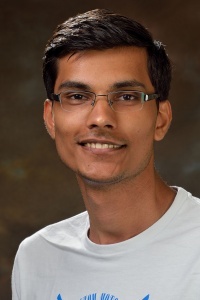 His research interest are in understanding the fundamental sciences of materials and devices for optoelectronic applications and seeing how synthesis and fabrication techniques can be converted from lab practices to industrial techniques.